Good old Mario – he’s always been a dab hand at sports. Golf, football, motorsports, winter sports or athletics, he’s always given the sport his all, bought his friends along and guaranteed a good time. only this time, the magic has failed our moustachioed hero. Mario Tennis is the germ of a good game, but one that’s been released with its roots half formed and only the first shoots sprouting. You’ll love it for roughly fifteen minutes, then feel less and less enthusiastic with each passing hour. After five previous versions across different platforms, it would be hard for Nintendo or the development team at Camelot to get the basics too wrong. You can play matches solo or two-player, singles or doubles, and the controls are every bit as snappy and responsive as you might expect. As in most arcade style tennis games, the skill is in predicting where the next shot is coming, getting there quickly then powering up your shot back, with a selection of ground-strokes, volley and smashes at your disposal, and the placement of your return affected by where you stand in relation to the ball and the point at which you hit it. The game kindly colour-codes the target that shows you where the ball’s going to land to recommend a specific return shot, and with the right conditions you can smash the ball back over the net with an almost unstoppable ultra smash. You get a selection of Nintendo stars to play with, of course, dividing into the usual heavy hitters, speedy movers, defensive players and all-rounders, plus a handful of tricky characters with more ability to curve the ball. This instalment also throws in giant mushroom power-ups, which transform Mario, Yoshi, Bowser et al into super-sized versions that can dominate the court through sheer brute size and heavy, high-speed shots. 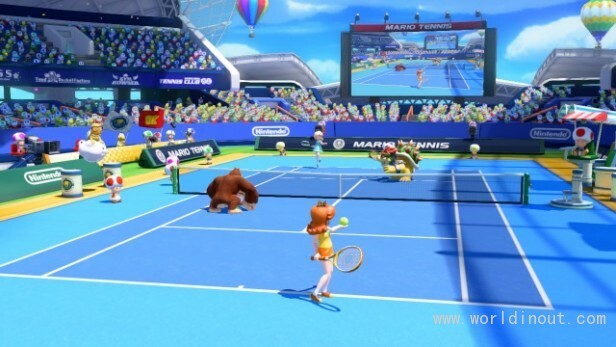 At times this gets annoying, and it has to be said that there’s a bit too much luck and a few too many cheap smashes and body shots to make this an enthralling tennis game, but that doesn’t mean it can’t be fun. Visually, it’s another lovely piece of work, the stadium beautifully-lit and packed with spectators, the characters detailed and bought to life by an array of wonderful little animations. 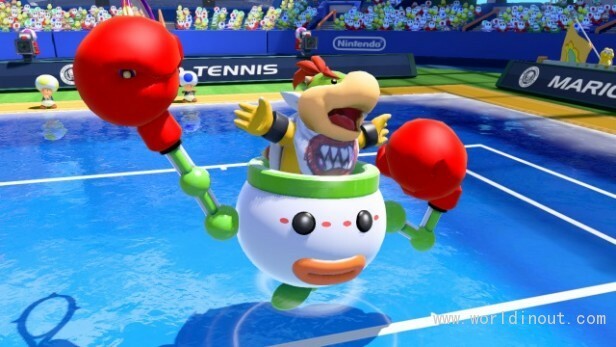 Nintendo routinely does this stuff so well that we take it for granted, but try watching closely, then try to think of any other tie-in sports game with so much personality. Yet even in the presentation there are signs that this isn’t A for Effort stuff. There are no cut-scenes to introduce the stars, while the announcements never get character-specific. It doesn’t matter if Mario or Bowser wins the point, game or match, they’ll only be the server or receiver. There are no sequences of our stars resting between games, and even the end of the match just warrants a quick animation of the crowd forming pictures of the victor. The bare minimum is all you get. But the real issue here is the structure. You can play singles or doubles matches, one by one, either with classic Mario Tennis rules or with mushroom power-ups enabled. There’s a challenge mode where you try to extend a rally for as many shots as possible, and a simple knockout mode where one character takes on all comers in a series of quickfire best-of-ten matches. Barring the simplest possible online mode – just a series of random matches against like-minded opponents – that’s basically it. There are some long-term goals. Winning matches or performing well in the challenge and knockout modes will win you coins. Completing certain objectives will unlock new characters, costumes and playing surfaces (you only get the one stadium). You can use the coins to unlock these items as well, if you despair of every meeting these objectives the right way. That’s OK, but the unlocks are predictable and hardly the stuff that Mario dreams are made of. What’s more, the knockout and rally challenge modes are almost utterly devoid of interest. The knockout matches get harder, but never take you anything new or put you up against players with widely different tactics. The challenge mode seems daft, simply because pulling off certain shots will almost certainly kill your rally, while a surprise play from a CPU-controlled opponent will halt if just as prematurely. If you’re a keen Amiibo collector you can also pull in in-game versions of Mario, Luigi, Bowser, Yoshi, Yarn Yoshi, Rosalina, Wario, Toad and Donkey Kong then train them up to partner with you in doubles matches or play in Knockout Challenge mode. All the same, lets not confuse basic Amiibo support with actual playable content. What you’re left with is a game that solo players will get tired of within a matter of hours, and that’s only really good for a spot of local multiplayer action here and there. The online aspect actually works very smoothly, but beating or getting beaten by strangers isn’t all that exciting without some structure behind it. 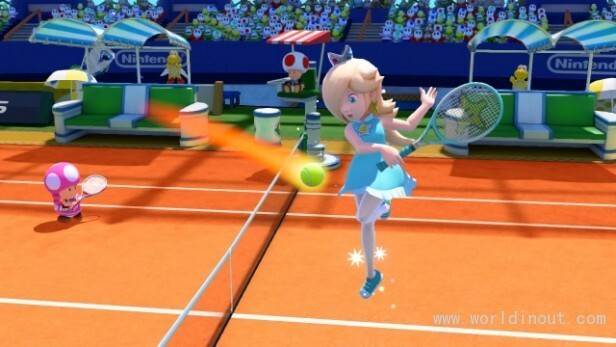 Let’s be clear: Mario Tennis: Ultra Smash is mechanically sound and fun in short doses, but it doesn’t have the legs or depth of Mario’s previous tennis efforts, let alone the likes of Virtua Tennis 4 or Top Spin 4. 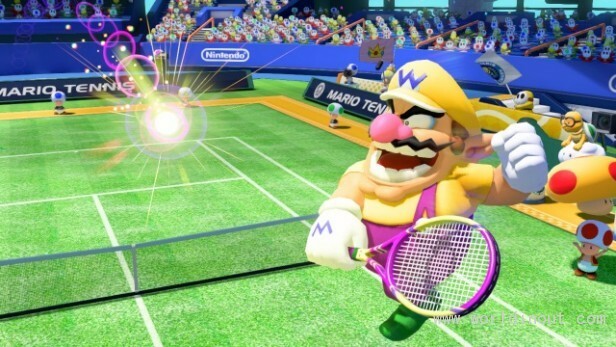 It looks great and plays very nicely, but Mario Tennis: Ultra Smash lacks the depth, the career modes and the content that make a great Mario sports game, and Nintendo’s usual attention to detail isn’t quite there. With a bargain basement £10 to £15 price tag it might be worth considering, but at £40? It’s not even close. If you believe that this information is a violation of your legitimate rights and interests, please send the relevant qualification certificate and your rights to info@tradeleo.com, Worldinout staff will reply as soon as possible! The purpose of this network is to convey more information, does not mean that the network is in favor of its views and its authenticity. Such as reproduced this site information, please specify the source.